"I want to thank you so much for sharing your journey with me! It spoke to me in so many ways, and has given me more confidence to follow my instincts and my little one's instincts. Words can't express how much reading your book meant to me and I truly believe I will be a better mother for it!" See more reader comments below..
Click the button to buy from me directly and receive a signed copy in the mail within a week. ​ Send me a message in Contacts if you'd like me to sign a particular message. And thank you! Writing Fire: An Anthology Celebrating the Power of Women’s Words Jaina Laiz, Jennifer Browdy, Sahra Bateson Brubeck, eds. A powerful collection of prose and poetry by more than 70 women writers, offering honest reflections and renditions of a wide range of experience. Publication is timed to celebrate the Fifth Anniversary Season of the Berkshire Festival of Women Writers. Through a journey that unfolds over four years, Baby at My Breast records one woman’s personal grappling with nursing, with its timeless, universal questions. Is it okay to quiet this crying baby with my nursing? Am I doing it right? Is she doing it right? How do I work with the advice of my pediatrician? Should she nurse as a toddler? Where will she sleep? When will she wean? not only as a physical practice, but also as a spiritual activity. of the journey of breastfeeding and the profound attunement of mother and child that can arise through this mysterious process. Its sensitivity and honesty will be deeply appreciated by new mothers embarking on this journey. "This isn't a how-to manual, it's a memoir of the breastfeeding years and a beautiful linking of the spiritual and the ..... well, not profane, or mundane or even practical or everyday... there should be a nicer word to mean the daily physical realities and routines. It really captures how nursing has that character — it feeds the soul (of mom and baby) but also feeds the baby, stops the tears, and gets done and redone many times a day for day after day stretching through their early childhood! If you are a new mom, it will reassure you about the path ahead and how you can find your way by connecting to your intuition and connecting to your little one. If you have already trod the path, it is a sweet remembrance of those days, told by someone with a beautiful narrative voice, and the perspective of already having lived four decades before coming to motherhood. And you may find you want to pass on the wisdom by giving this to a new mom in your life!" There is a special quality to the years of breastfeeding. 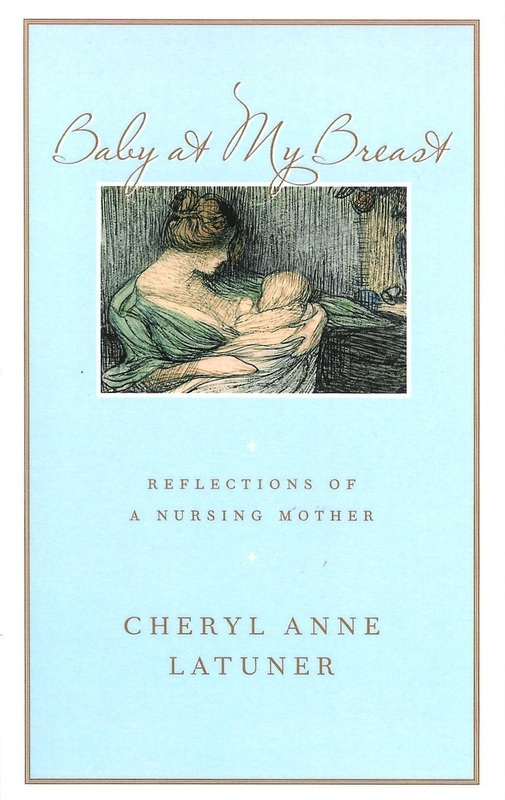 In Baby at My Breast, Cheryl Anne Latuner illumines those first struggles to get it working, the amazing changes our body goes through, the raw emotions of having a new baby. She explores her first experience nursing in public, the challenges of deciding when to offer a baby food, the fear of being exposed as the mother of a nursing toddler, the joys of nursing an older baby, and, finally, letting nursing wind down gently, at its own rate. For moms to be, this book offers an understanding of the deep importance of breastfeeding in the life of a mother and child. For experienced mothers like me, it brings back memories of those special moments in my life when I had a child at my breast. Baby at My Breast is a rich exploration of those wonderful years when we nurture our children with both our body and soul.